The Lithium Ion battery manufacturing process was first developed by Sony in 1991 which features significantly longer lifetime and energy density compared to nickel-cadmium rechargeable batteries. Sony was the first to introduce commercial lithium-ion batteries in large numbers and since Sony was already manufacturing magnetic tape for recorders and due to the new demand for CD’s realized that the process for manufacturing tape could be adapted to making lithium-ion batteries. The technology and equipment for the magnetic tape were already available. The magnetic tape process applies iron oxide or other metal oxide slurry to sheets of tape, dries them, and cuts them into reels of tape. Thus, when Sony changed over to the production of Li-Ion batteries they changed to sheets of copper and aluminum foil instead. They coated the foil and sheets with metal oxides and graphite, layered them with a separator, packaged, and filled with electrolytes. 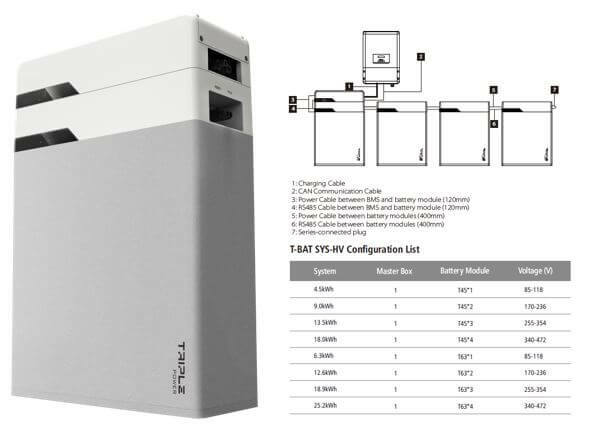 For the sake of this Blog, we will look at 2 common types that Symtech Solar has or is using in its solar kits. The University of Texas in the USA (and other contributors) discovered phosphate as a cathode material for rechargeable lithium batteries. Li-phosphate offers good electrochemical performance with low resistance. The key benefits are high current rating and long cycle life, besides good thermal stability, enhanced safety. 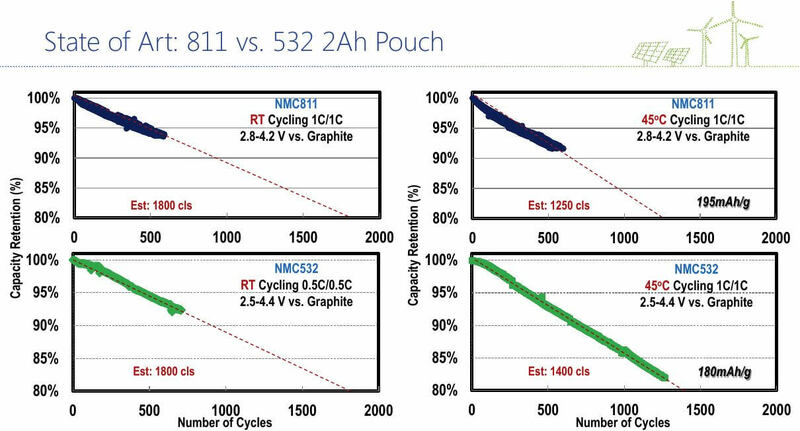 One of the most successful Li-ion cathode formulas developed to date is obtained by combining nickel, manganese, and cobalt. 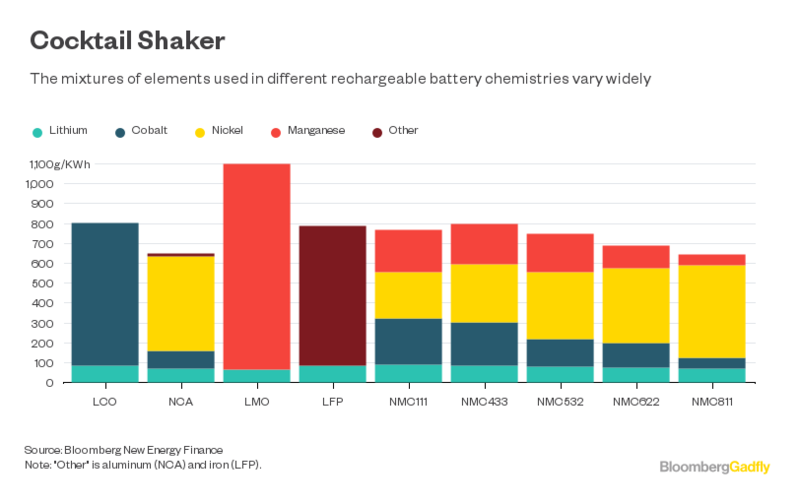 Lithium-Nickel-Manganese-Cobalt-Oxide (LiNiMnCoO2), abbreviated as NMC, has become the go-to cathode powder to develop batteries for power tools, e-bikes, and other electric powertrains. This formula delivers strong overall performance, excellent specific energy, and the lowest self-heating rate of all mainstream cathode powders, which makes it the preferred option for automotive and now residential energy storage batteries. Solar power is directed from the panels and charge controller towards the bank of batteries, in this case, Li-Ion. In most residential situations the batteries are secured onto the interior (or exterior) wall of the house. The charging process continues while the sun shines until the battery bank is charged. The majority of new solar and battery bank installations in residential properties utilize the Lithium-Ion battery because they have a longer lifespan (which varies between 10 and 18 years depending on use, type, and temperature). Lithium-Ion batteries tend to be lighter and have an increased DoD (Depth of Discharge) with better round trip efficiency. It is likely the lithium-ion battery with solar storage will become an automatic inclusion of planning most autonomous solar energy systems. It will be the most cost-effective option for electrical generation. As solar PV has dramatically come down in price over the last 10 years we also expect as the supply chains and technology improves for Li-Ion the price will also come down significantly for this energy storage technology.